National Yo-yo Master and 2003 5A World Champion, Rafael is known for his highly conceptual and visually-appealing tricks. He is the founder and president of the Brazilian YoYo Association, and head organizer for the Brazilian National YoYo Contest. He spends most of his time disguised as a computer geek. Co-winner of the 2007 Trick Innovator of the Year Award, Jake is one of the most gifted and under-appreciated counterweight yoyo players in the world. Jake was a massive force in the early development of tech counterweight play and, along with Jonathan Robinson, ushered in a new style of counterweight play that dominates contests to this day. Darnell Hairston is an up-and-coming player from the Cleveland YoYo Club who managed to land a spot on the coveted YoYoFactory Protege Team. 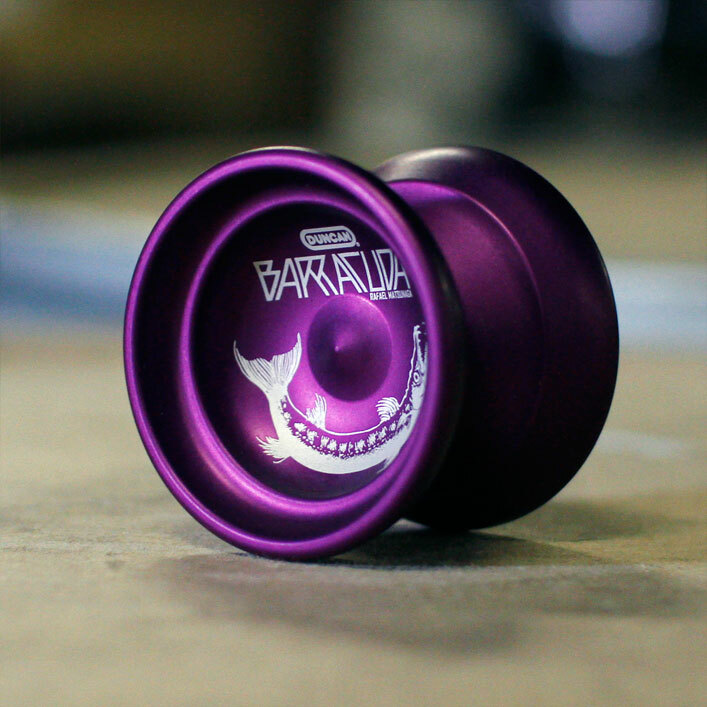 Mentored by National YoYo Master Steve Brown, expect to see Darnell destroying contests all over the Midwest in 2013. 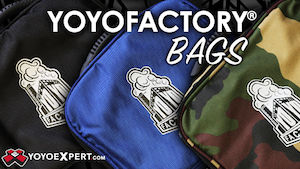 Spencer Berry is responsible for a tremendous number of the building blocks of modern yoyo play. He is the creator of genre-defining tricks such as Breath, Rancid Milk, and Laceration and is generally regarded as one of the founders of modern yoyo play. 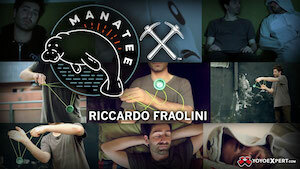 His signature yoyo, Walter, will be available in 2013. A yo-yo trick can be as simple or as complicated as you let it. Many players like to elevate their craft by pushing tricks in previously unseen directions, exploring nuances in presentation, inventing new styles, or breaking the contest system wide open. Let’s take a closer look at some tricks from world champion Hank Freeman. Hank is well known throughout the community for his smooth style, unique tricks, and complete dominance of the American 3A scene. He is generally considered to be one of the best (in my opinion, THE best) 3A players in the world, and his back-to-back world titles support this. He’s also a fiend for good ramen and knows all the words to “Rappin’ Duke” – but enough about that, let’s get to the tricks. Specifically, let’s look at some of his signature quickmounts. The blueline mount is a standard in 3A, and the basic form of blueline rolls is one of the first tricks that 3A players learn. Hank kicks the trick twenty years into the future by performing all the steps at once, performing what is called a “quickmount”. By throwing straight into a mount, he shaves off a good 3-6 seconds that 3A players are used to spending on individual throws. Those seconds add up, and being able to start every trick sequence with a quickmount could open up enough room for a whole new combo in the freestyle. Opening with a quickmount gives the trick a sense of momentum that can be difficult to capture in a slow-moving style like 3A. Not only does it grab the audience’s attention and set a strong pace, but it can actually make certain tricks (like some of Hank’s double zipper sequence) easier than starting from a dead stop. Hank’s quickmounts are astonishingly difficult, and are scored accordingly. Hitting a quickmount right at the beginning of a sequence guarantees you 5-10 extra clicks right off the top, essentially giving you an extra banger every time you throw. As you can imagine, these tricks can take years of practice, and are only just beginning to show up even at the top level of play. With high level players like Ken Takabayashi, Taiichiro Higashi, and Yasuki Tachibana integrating them more and more, though, it’s easy to see that quickmounts are marking a paradigm shift in 3A. Hank has expressed a desire to begin every trick in his 2013 freestyle with a quickmount, and it’s not hard to imagine them becoming as standard as the double trapeze sequence is now… provided that any of us can ever catch up to Hank. As a bonus, let’s take a look back at some of Hank’s b-sides (and some quickmounts from yours truly) in the 2011 pure 3A clip “Chos”. DISCUSSION QUESTIONS AND FURTHER READING: Remember when Jensen did his Worlds 2011 Freestyle in one throw? You know how weird and amazing Christopher Chia’s regens are? Will regen- and stall-heavy one throw freestyles eventually become the norm in 1A freestyles as contests become closer and closer and competitors cram as many points in as they can? Are 3A regens ever going to become feasible? Can anybody tell me how to do Velvet Quickmount without hitting myself in the face? Talk about it in the comments below! 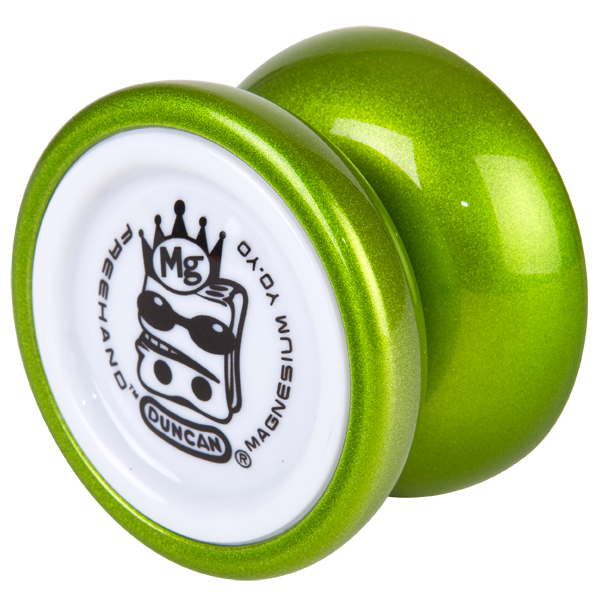 Duncan Toys has released a special “Bare Bones” version of the legendary Freehand MG yoyo for the incredibly low price of only $200…less than half of normal retail! Offered without the custom wooden gift box and accessories, the Freehand MG Bare Bones comes only with a string and a counterweight and is available in powder-coated green or yellow. If you’ve ever wanted one of these magnesium beauties for yourself, this is the best price you’ll ever get. Great new video from Duncan Crew Singapore’s Fajar Siddiq. 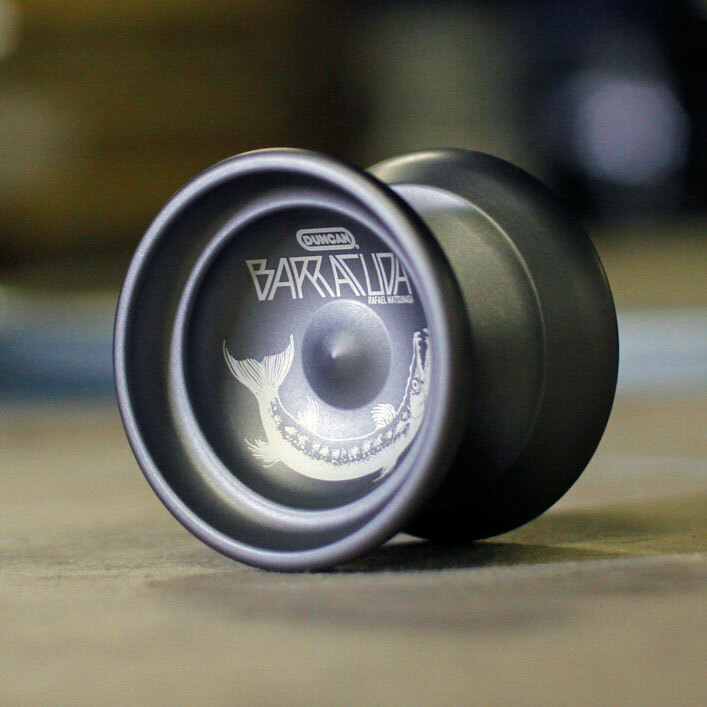 Duncan Toys partnered up with 44 Clash to release this absolutely gorgeous special edition of Rafael Matsunaga’s signature model, the Barracuda. 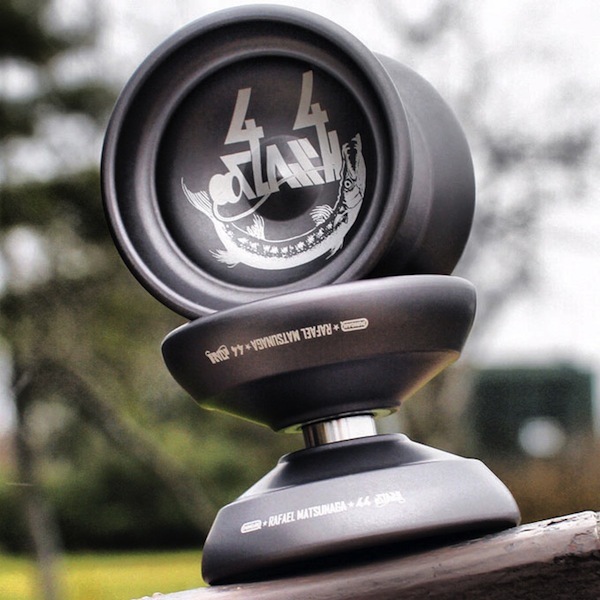 More Duncan players have won titles with this yoyo that any Duncan yoyo ever produced.